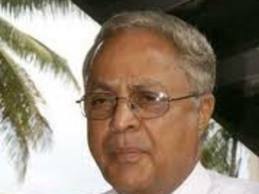 High Court judge, Justice Salesi Temo today allowed Fiji’s former Prime Minister, Mahendra Chaudhry to travel overseas. Chaudhry, who faces 3 charges in relation to the breach of the Exchange Control Act, had applied for bail variation. His request to extend his New Zealand visit of July 15-22 to July 29 was also approved and he has to surrender his passport before 4pm on July 29. Chaudhry is heading to NZ to consult his counsel. The trial on this case will begin on September 23.
failure to surrender foreign currency: it is alleged that Chaudhry between November 2000 and July 2010 retained the sum of $AUD1.5 million for his own use and benefit, without the consent of the Governor of the Reserve Bank of Fiji. Dealing in foreign currency otherwise than with an authorized dealer without permission. Failure to collect debts where it is alleged that Chaudhry having the right to receive a sum of $AUD1.5 million from the financial institutions in Australia and New Zealand, caused the delay of payment of the sum, in whole or in part, to himself by authorizing the continual reinvestment of the sum together with interest acquired back into the financial institutions without the permission of the Governor of the Reserve Bank of Fiji.